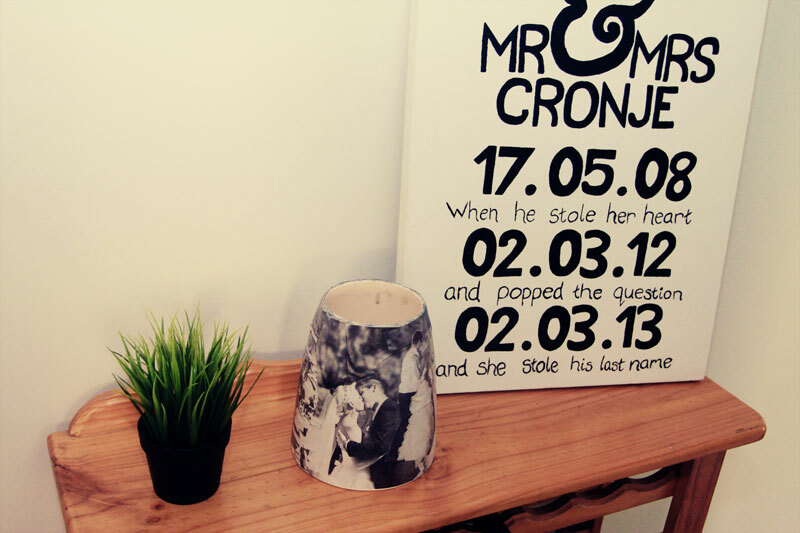 I found a cute white vase at a swap meet and have been meaning to give it some DIY loving. 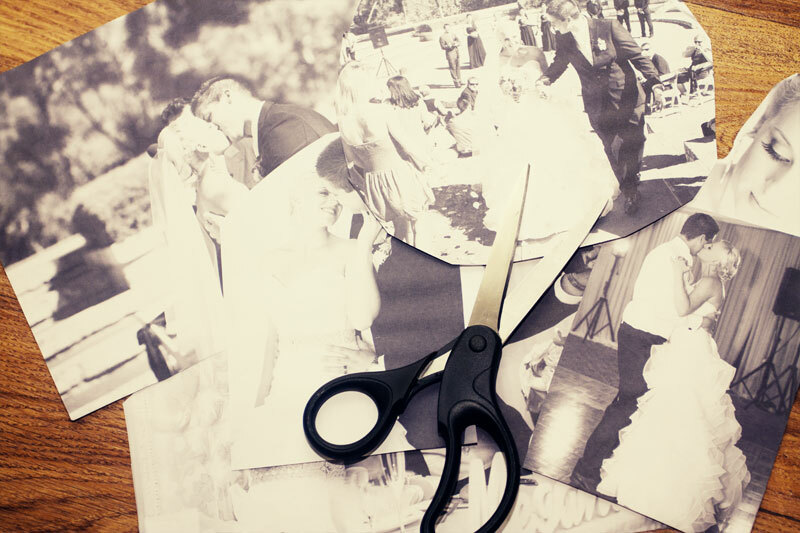 I thought some black and white pics from our wedding would be the perfect touch! Step 1. 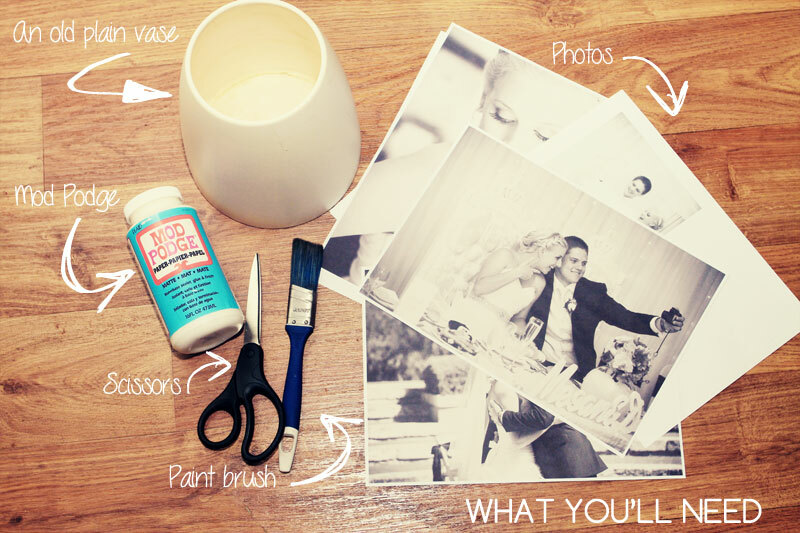 Cut your photos to size and shape making sure that you leave some room around the edges to overlay images when you paste them onto the vase. Step 2. 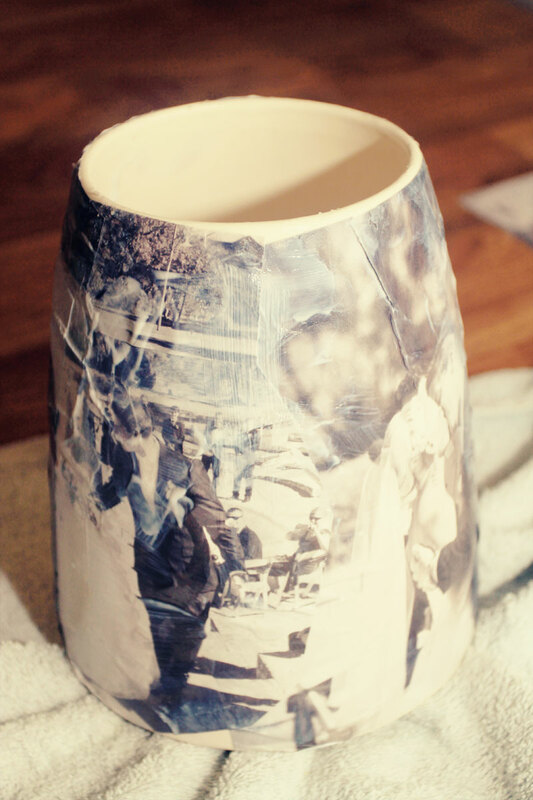 Pour some Mod Podge into a bowl and start to coat the vase evenly where you will place your first image. Step 3. 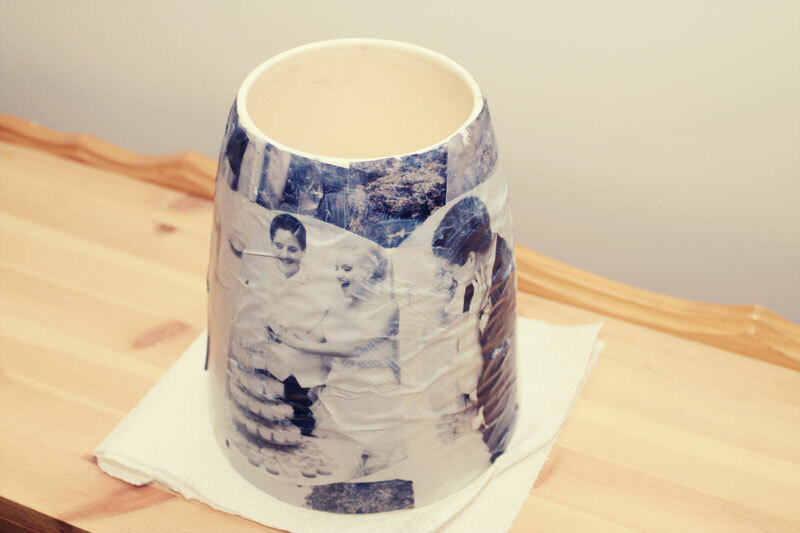 Paste your images onto the vase. NOTE: the larger your images the more likely you are to see crinkles (like the below). I’m into the ‘worn’ look that the crinkles will produce, but if you don’t want this, make sure you use smaller pictures (you’ll need a lot more). Step 4. 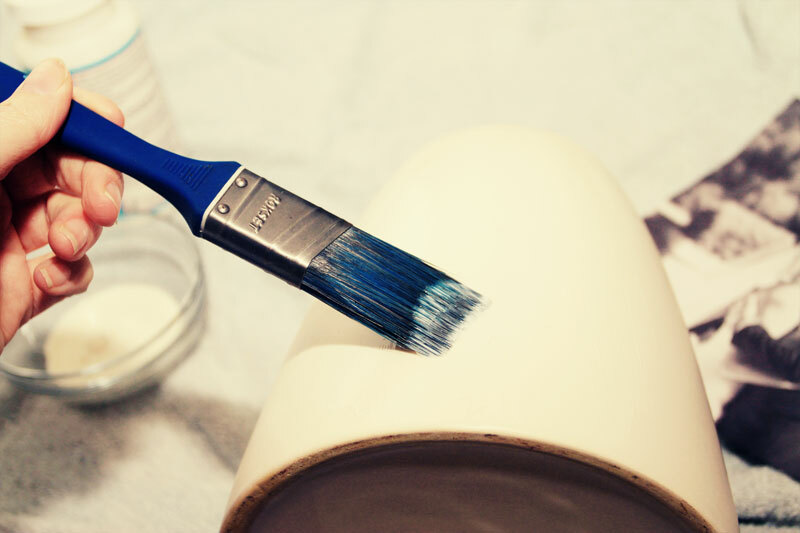 Let the vase sit overnight, before giving it a second coat of Mod Podge. 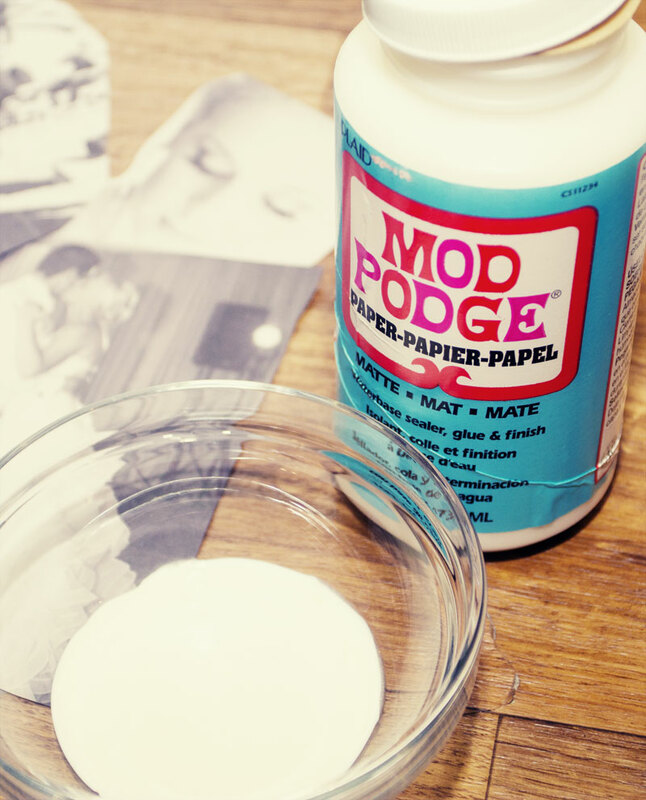 After you’ve given it the second coat of Mod Podge (and it’s dried), you are finished! 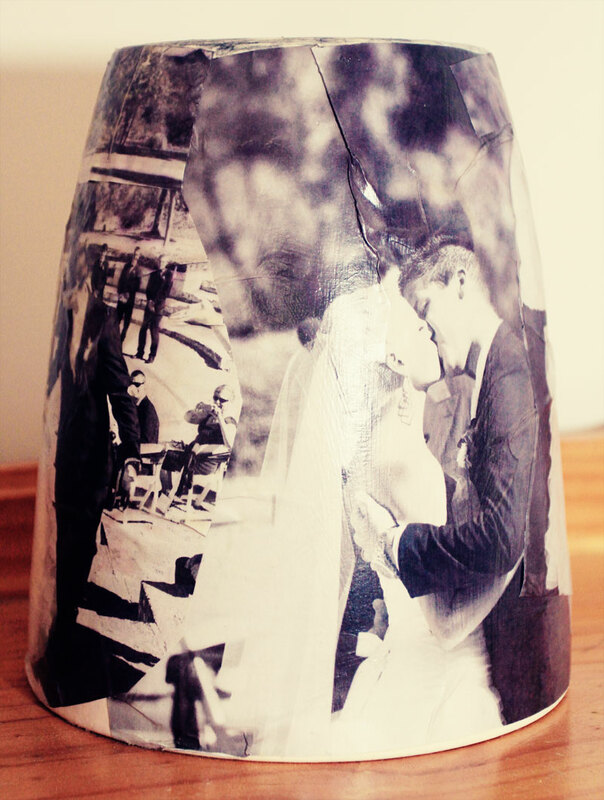 I’m so excited about this project because it’s a special vase that will always hold dear memories for me!